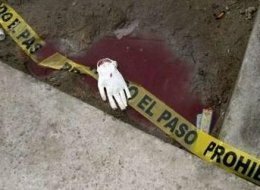 A female Mexican newspaper editor was decapitated this week for using social media to report on drug cartel violence. Authorities have confirmed the murder of a Nuevo Laredo newspaper editor whose body decapitated and left with a message not to use social media to report about drug cartels. It all happened in the Colonia Madero of Nuevo Laredo around 7:45 a.m. Saturday. According to reports, a woman’s body was next to a statue of Christopher Columbus with a message not to use social media to report about drug cartel violence. The Tamaulipas Attorney General’s Office (PGJE) identified the woman’s body as 39-year-old Maria Elizabeth Macias-Castro, the editor of Nuevo Laredo’s Primera Hora newspaper. Macias-Castro is the third person in Nuevo Laredo to be murdered and left with a message not to use blogs or social media to report about drug cartels. The mutilated bodies of two other people were left with a similar message two weeks ago.